The Bucovina Museum from Suceava has the distinct pleasure of inviting you to participate to the International Exhibition of Satirical Graphic BUCOVINA - ROMANIA, the 12th Edition, 2018. “ If you don't read on time, you will understand too late! ”. 8. 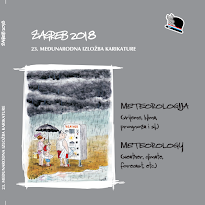 Deadline for sending your cartoons: 31st of May 2018. Download Entry Form on source. because of personal ties behind the stage, public relations & deals under the table! So do the contests' judgements & results too! What a pity! even before the vote outcome or the jury's final decision! It doesn't matter anymore if you were a good talented cartoonist or not! The truth is casted away! The 45th lnternational Humor Exhibition of Piracicaba 2018, realized by the Piracicaba City Hall/Cultural Action and Tourism Secretariat/National Graphic Humor Center of Piracicaba will be held in accordance with the following cheduIe – Registration: until July 15. Selection Jury: July 28 and 29. Awards Jury: August 18. Opening Ceremony: August 25. Closing: October 14.
a) Professional and amateur artists, Brazilians and foreigners can apply unpublished artworks that were not awarded until the closing date for entries. f) Maximum measures allowed: paper- 42 x 30 centimeters (A3) (16,54 x 11,81 inches), sculptures - 42 centimeters or 16,54 inches (height) x 30 centimeters or 11,81 inches (depth) x 30 centimeters or 11,8 1inches (width). "Harassment: sexual, moral, virtual ... Harassment covers a wide range of behaviors of an offensive nature. It is generally understood as a behavior that bothers or disturbs and is characteristically repetitive. It is behavior that seems to be threatening or disturbing. Harassment refers to persistent and unsolicited advances and offenses, where the consequences of refusal are potentially very damaging to the victim. These, among others, are some approaches to be explored." 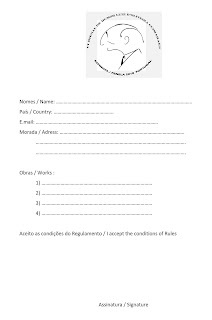 c) After the exhibition, the original works must be withdrawn by the artist or authorized person carrying a letter of authorization signed by the artist, at CEDHU - Piracicaba, within a period of up to six (6) months, counted from the closing date of the exhibition show. After the deadline, CEDHU will exercise the right of ownership, according to its interest. d) Awarded authors (including honorable mentions) transfer the assignment of the Copyrights of their work, in accordance with Law 9.610 of February 19, 1988 (Copyright Law). total, universal and definitive, in all the modalities of use and free of charge, protected by said law referring to the work(s) awarded at the International Humor Exhibition of Piracicaba, which are now part of the Municipal Public Patrimony for all rights purposes, in accordance with the Municipal Law n 2249,1976, partially amended by the Municipal Law n 2486-1982 and consolidated by the Municipal Law n 5194-2002. The exhibition has international character, there is no age limit, or limit on the participant profession. All participants shall be sent the results and a digital catalogue by e-mail. 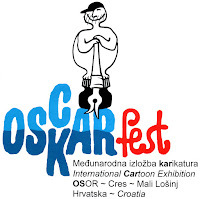 Visitors to the Exhibition vote for the best cartoon by secret ballot. 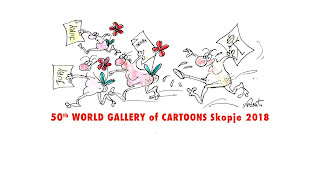 Exhibited cartoons will be at organizers' disposal who can use them for promotional purposes without compensation to the author and continue to exhibit them. Organizer may copy the selected works in two (2) copy for sponsors, awards to voters, and promotions. on the island of Cres, near the town of Mali Lošinj (Northern Adriatic, Croatia). ENTRY FORM 10. 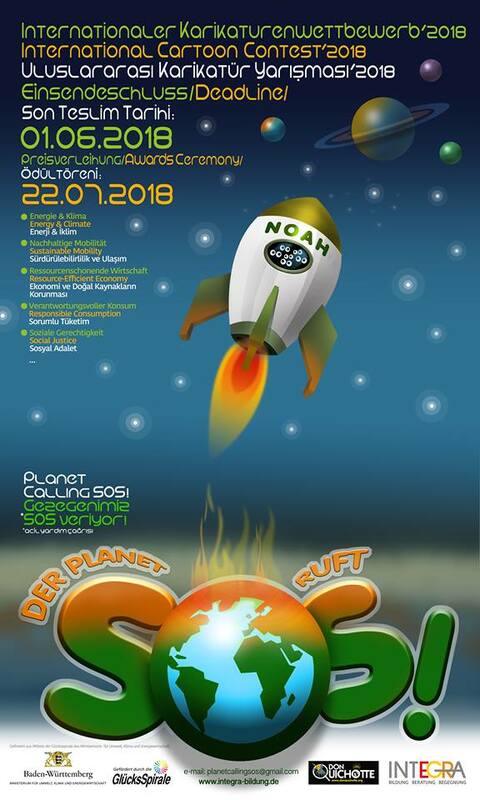 OSKARfest Osor 2018. Kopiraonica Kolding, ABM grafika, DesignArt, Vigna marketing studio / Zagreb. 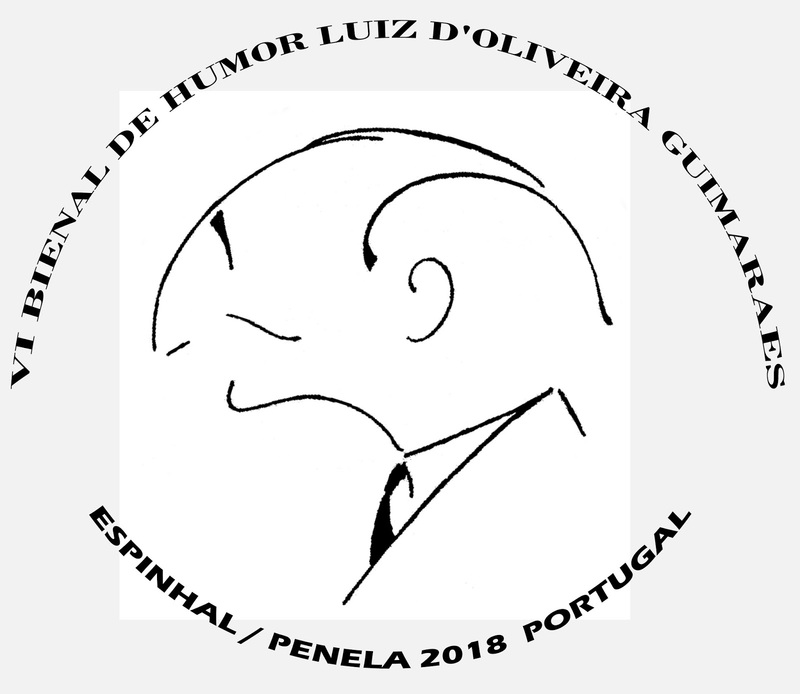 b) Caricatures of Leonor d'Oliveira Guimarães who was the promoter of this Biennial. 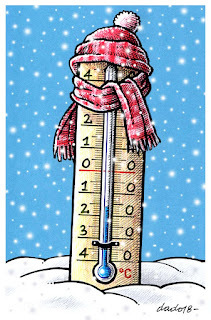 See photos on humorgrafenews. 3 - Deadline: 10th of June 2018 (EXTENDED:) 25th of June 2018. They should be sent to humorgrafe.oms@gmail.com, humorgrafe@hotmail.com or humorgrafe_oms@yahoo.com (If you do not receive confirmation receipt please resend new email). 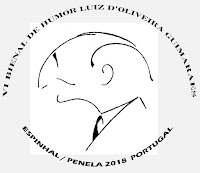 9 - For further information contact the Artistic Director: Osvaldo Macedo de Sousa (humorgrafe.oms@gmail.com / humorgrafe@hotmail.com) or V Biennial of Humor Luíz d'Oliveira Guimarães Culture Sector, Municipality of Penela, Town Hall Square, 3230-253 Penela - Portugal. The Italian Championship of Lies was born in 1966. The reasons that led to the creation of this competition are to be found in the traditions of our little village over the Pistoia’s mountains, on the Italian Apennines, when in last century people used to meet in front of a fireplace to tell stories that mixed reality and fictious. The Italian Lie Academy, in occasion of the 42nd Italian Lies championship, declares the graphics section contest dedicated to Lie. 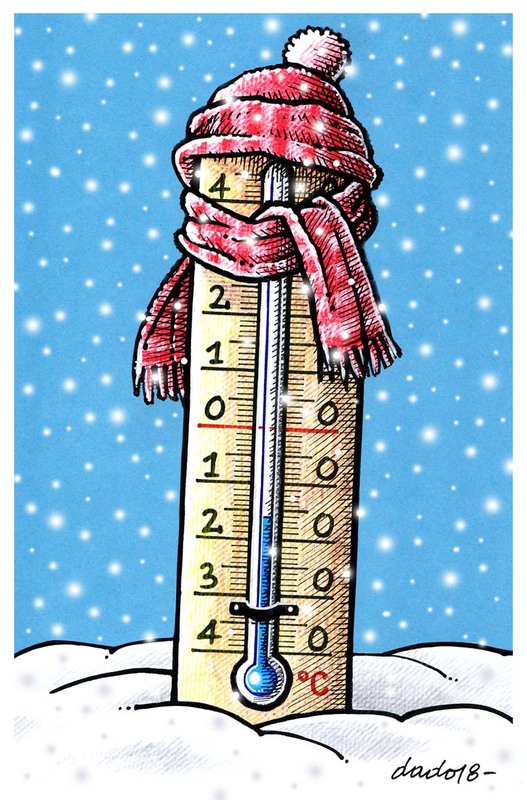 This year theme is: "The weather and the climate change". 2. Participation is free. Deadline for cartoon submission is Sunday, July 12th, 2018. 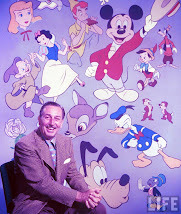 Each participant can send up to 4 cartoons. 3. The entry form below must be completed in all its parts and sent along with the presentation of works that take part in the competition. 4. The paper must be sent by postal mail to: Accademia della Bugia-Pro Loco Alta valle del Reno, via della chiesa, 27 - 51100 Le Piastre PT, Italy. 5. The comics can be written in your own language, but we advice that you make a cartoon simply draw, without any text. 2nd place: "Silver Bugiardino "
The Bugiardino is the symbol of Championship and is the bell tower o the village with a long nose, like the Pinoccio’s one. 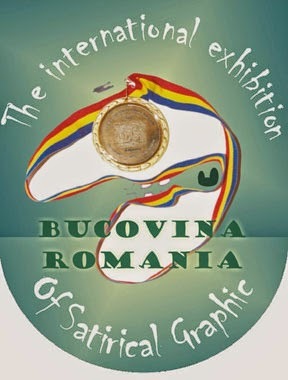 It will be awarded with the "International Bugiardino" best cartoon coming from abroad or drawed by a foreign national. 7. 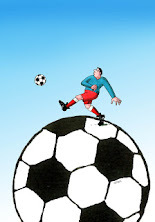 All the winning cartoons will be published on website of Italian championship of Lies (www.labugia.it). 9. 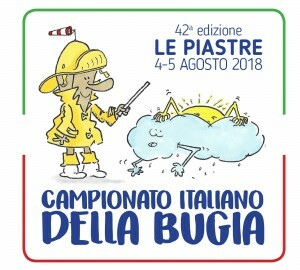 Prizes will be delivered during of the 39th Italian Championship of Lies that take place in Le Piastre on 4st and 5th August 2018. 10 . The works will be judged by a jury headed by the italian cartoonist Marco Fusi. 4. Deadline: 2018 May 31 (EXTENDED:) 30 JUNE 2018. 7. Announcement of results: 2018 July 31. 1) Joining the competition is possible only via internet ( planetcallingsos@gmail.com ) (with cv-address). 2) All submitted pieces of work should be participating in a contest for the first time. In the event of violation of this requirement, any awarded prizes shall be returned. 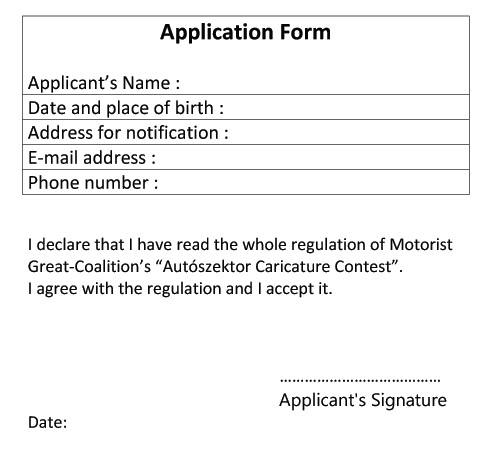 3) The caricatures are to be submitted in A3 size, with a resolution of 300 dpi and in Jpeg format (black and white or colour, no restriction as to technical colour processing). - Saadet Demir Yalçın (Turkey). Announcement of the Jury decision , seminar and the opening of the post contest exhibition: September 2018. The Jury comprises of the Organizers representatives as well as artist dealing with art in practice or as theoreticians. Only works which have not received awards can be entered in the Competition. The Jury reserves the right to determine the final distribution of prizes, and to change their size and number. The Organizers envisage the publication of a catalogue, and reserve the right to make a selection of drawings for the catalogue and for a post-competition exhibition. The winners receive their prizes provided that they are either present at the closing of the exhibition or they indicate a bank account where the money could be transfered. Participation in the competition, as well as any activities and responsibilities associated with it, including any claim to a prize, cannot be transfered to third parties. The works become the property of the Organizers. Every entrant agrees to his/her free of fees delivery of works to the Organizers. Entrants agree to their work being published on a no-fees basis. Every work delivered to the contest ought to be accompanied (on the reverse) with the readable author’s signature, contact/official address. By sending his/her works and participating in the contest the artists agree to the mentioned rules and regulations. The cost of sending the work will be borne by the entrants. The Organizers have the right to change the rules. Personal data will be used exclusively to implement the provisions of the Regulations of the Competition. The data administrator is the C. Norwid Regional and City Public Library in Zielona Gora, 65-077 Zielona Gora, al.Wojska Polskiego 9, Poland. 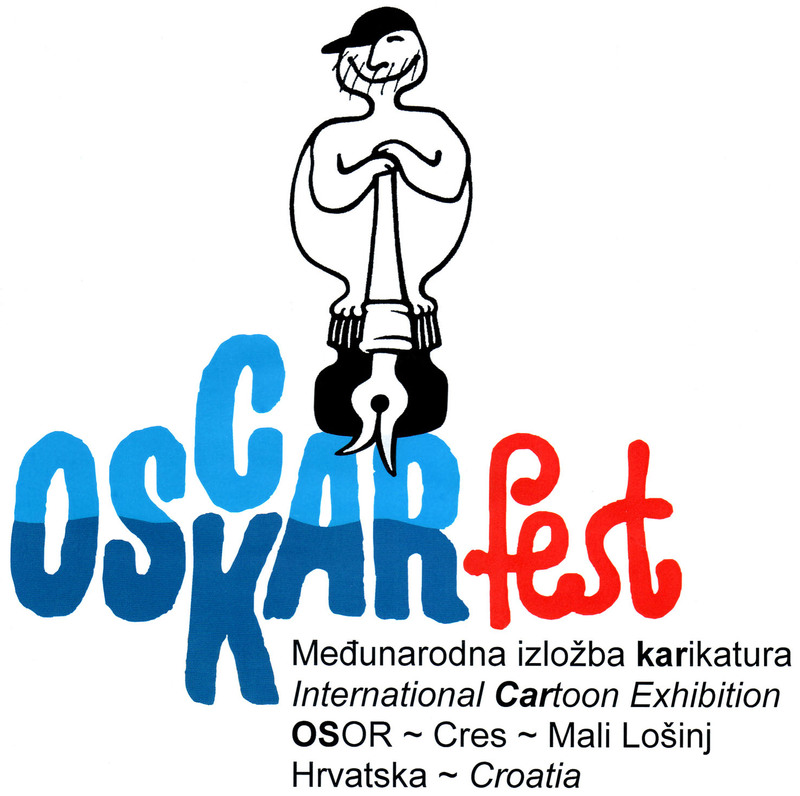 The organizer of the competition is OSTEN Skopje, Republic of Macedonia. The selector assigned by the organizer will select the submitted works, and the international jury will appraise the short-listed works. The official announcement of the awards and the opening of the exhibition will take place on 31st May 2018 at OSTEN Gallery, Skopje, Macedonia. For a regular submission, the author shall fill out the Application Form (electronically or manually) and send it via e-mail first, preferably together with a short author’s bio. Afterwards, she/he shall send the printed Application Form via post mail along with the works. 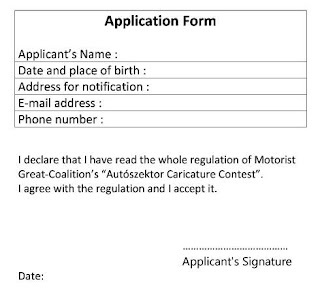 By completion of the Application Form, the applicant agrees that the organizer can use, expose, study and publish the works for the needs of the event. The short-listed works selected by the selector are eligible for awards that will be decided by the international jury. * In honor of the great Macedonian cartoonist Vasilije Popovic - Cico. Short-listed works are exhibited at OSTEN Gallery from 31st May to 15th June 2018. 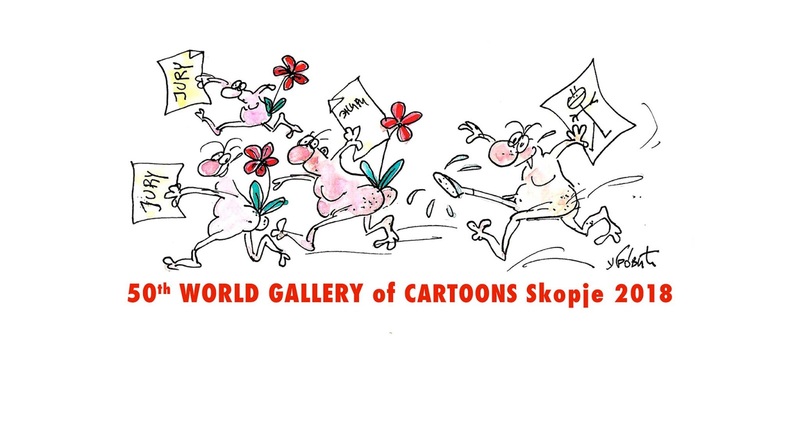 The organizer will cover the accommodation expenses for the awarded cartoonists who will announce their presence on the opening of the exhibition in Skopje up to 1st May 2018. The works that will arrived on the address of OSTEN up to 31st March 2018 will be considered for selection. 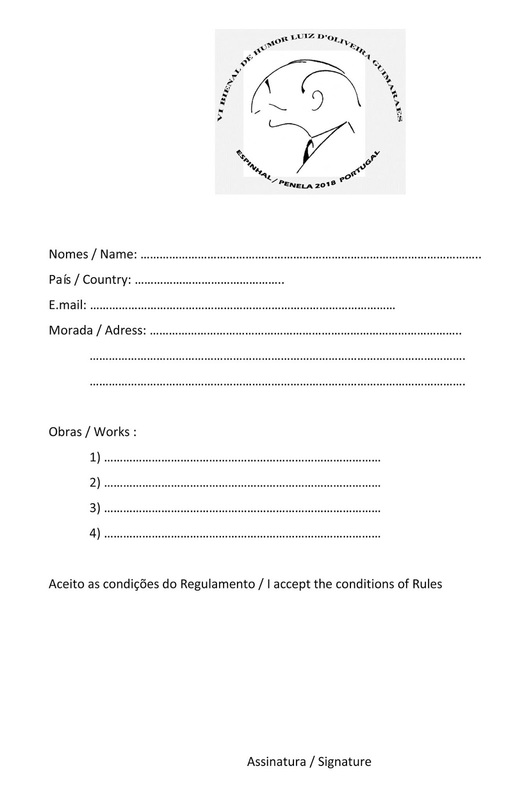 Each artist can enroll with the maximum of five ( 5 ) UNPUBLISHED works in the preferable format 30x40 cm and using any technique. On the back of each drawing, or in registration must include the author's full name, address (with ZIP code), email, phone number, ID number, social security number and bank account. 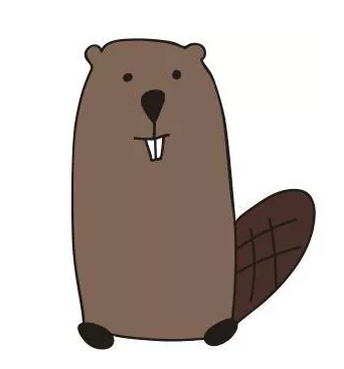 The theme of the 2nd Bobritsa Cartoon Competition will be BEAVERS LAUGH (the name of the village Bobritsa in Ukrainian language originates from "beaver"). But this does NOT mean that your works should be only about beavers. First of all they should be smart and funny, please do not restrict yourself by beavers as heroes!